The CTR-CD10 is a speed control and temperature monitoring unit in a 5.25" drive bay profile. 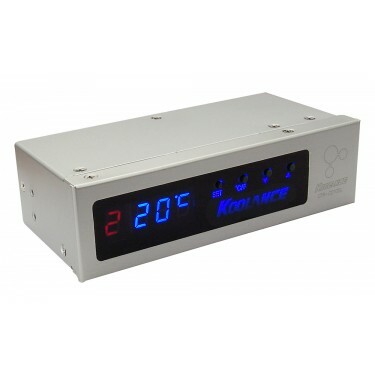 It includes all features found in Koolance's top-end cooling systems, with a newly revised controller circuit for operation with a Koolance with 12V DC pumps. The CTR-CD10 has two 3-pin fan outputs. 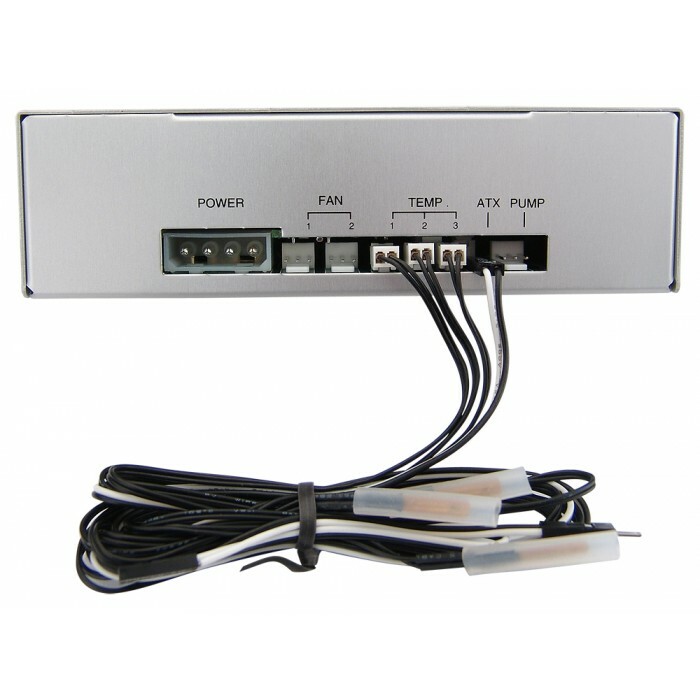 To connect more than two fans, simply add them together with a wiring harness. The pump output is also 3-pin, requiring a Molex 4-pin adapter if using the Koolance PMP-450/S pump.